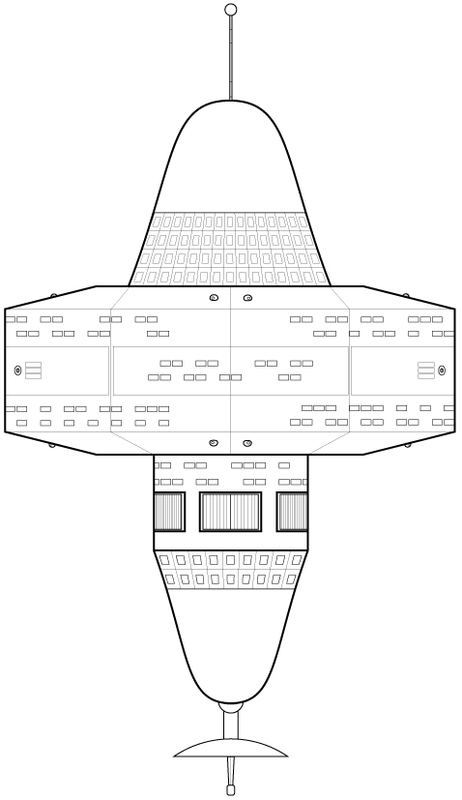 83 Mk I’s “E” class stations have been constructed. Of those 12 have been destroyed (all during the Four-Years War) 4 have been scrapped and 67 were eventually converted to Mk II specs. A total of 83 Mk II’s have been commissioned, including 16 new builds and 67 converted Mk I’s. 6 Mk II’s have been destroyed, 4 have been scrapped and 10 have been disarmed and sold. 63 were converted to Mk IIIs. 84 Mk III’s have been commissioned, including 21 new builds. Of those, 3 have been destroyed, 1 has been scraped and 40 have been converted to Mk IVs. 30 have been decommissioned and sold, while 10 have been traded to Federation member worlds. Only 4 new Mk IV’s were ever built, with the “R” class taking over the duties of the “E” class. Combined with the 40 Mk III’s that were converted, only 1 Mk IV was destroyed. 30 were eventually disarmed and sold, while 13 are currently listed as Reserve Fleet. In an unusual move, 12 of the 13 reserve platforms remain “on-station” with only their impulse power systems active. All 12 are within active patrol zones and are monitored weekly. Because most of the technology is now antiquated, there is little fear that a third party might try to appropriate the stations.